Winning a milk quality award is an exceptional achievement. The winners emerged from among over 2,000 milk producers supplying a total milk pool of 1.2 Bn litres. 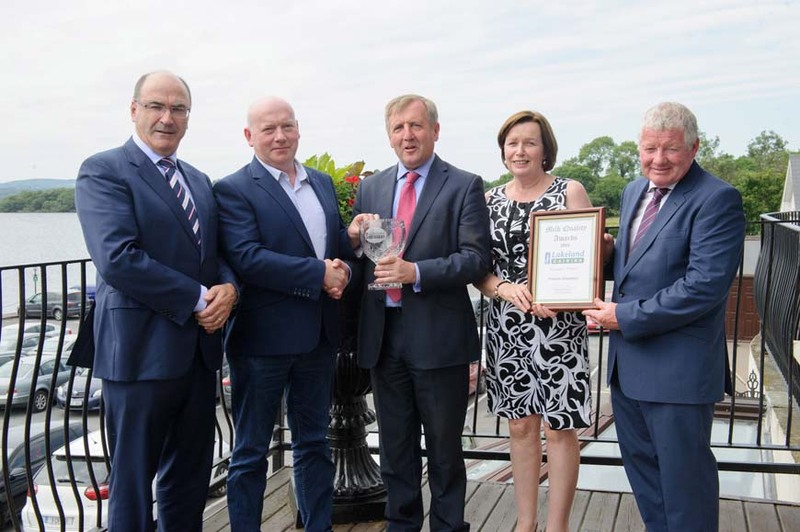 The awards were presented by the Minister for Agriculture, Food and the Marine, Michael Creed T.D., together with Lakeland Dairies Chairman Alo Duffy and Chief Executive, Michael Hanley. Seamus & Gerard Quinn, Ardboe, Co. Tyrone won the Lakeland Dairies Supreme Milk Quality Award and also won the overall Northern Ireland Milk Quality Award. Francis Goodman, Carrickmacross, Co. Monaghan, won the 500,000+ litres milk production category. The runner-up in this category was Nigel Trenier, Belturbet, Co. Cavan. Terence McGovern, Ballyconnell, Co. Cavan, won the 0 – 500,000 litres milk production category, closely followed by runner-up Adrian Kelly, Cloghan, Co. Offaly. In the category for New Entrants to Dairy Farming, G.D. Young from Mullingar, Co. Westmeath, and Raymond, James and Graham Harrison, Hillsborough, Co. Down both won awards for exceptional milk quality. 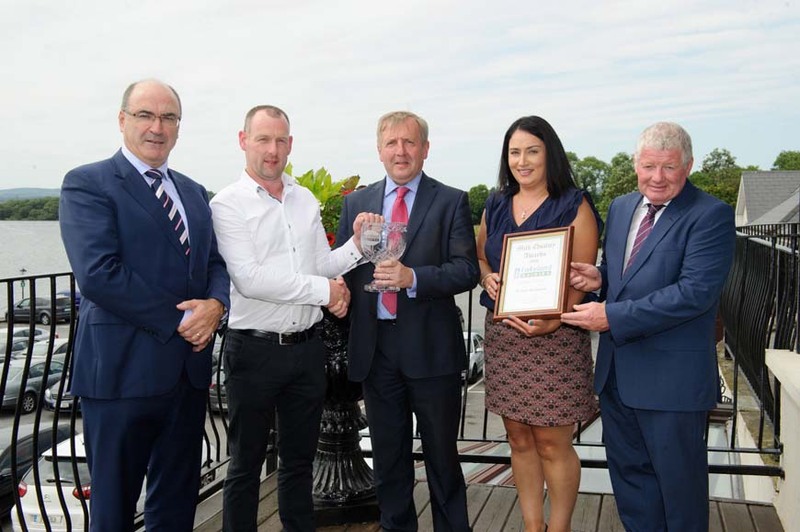 Joseph & Paul Molloy, Lea more, Tullamore, Co. Offaly, won the inaugural Lakeland Dairies Sustainability Award for outstanding commitment to sustainable milk production, based on measures including carbon footprint, biodiversity, water management and milk quality results. “Agriculture and dairying will be key engines of economic progress both regionally and on an all-island basis as we continue to grow our food exports in the future. Lakeland Dairies is committed to the achievement of dairy industry scale, efficiency and competitiveness, for the long term benefit of producers and rural communities. SUPREME MILK QUALITY WINNERS - Seamus & Gerard Quinn, Ardboe, Co. Tyrone won the Lakeland Dairies Supreme Milk Quality Award and also won the overall Northern Ireland Milk Quality Award. Dairy farmers from both sides of the border won top honours for the exceptionally high quality of milk produced on their farms. The overall winners were selected from over 2,000 dairy farmers supplying milk to Lakeland Dairies. The awards publicly recognise the achievements of Lakeland Dairies milk suppliers who are committed to efficiency and quality in all aspects of their milk production. They were presented by Irish Agriculture Minister Michael Creed. Pictured (l – r) are: David Gunn, Easyfix; Michael Hanley, Group CEO, Lakeland Dairies; Seamus Quinn; Minister Creed; Margaret Quinn, Colin Kelso, Vice-Chairman and Alo Duffy, Chairman of Lakeland Dairies. HIGH QUALITY DAIRY FARMERS - Keith and Robin Crawford, Cookstown, Co. Tyrone were the overall Northern Ireland Runners-Up in the Lakeland Dairies Milk Quality Awards. The awards publicly recognise the achievements of Lakeland Dairies milk suppliers who are committed to efficiency and quality in all aspects of their milk production. The overall winners were selected from over 2,000 dairy farmers supplying milk to Lakeland Dairies. They were presented by Irish Agriculture Minister Michael Creed. Pictured (l – r) are: Michael Hanley, Group CEO, Lakeland Dairies; Linda and Keith Crawford with son Timothy; Minister Creed; Robin and Doreen Crawford with Colin Kelso, Vice-Chairman and Alo Duffy, Chairman of Lakeland Dairies. BEST NEW ENTRANTS TO DAIRYING – In the Lakeland Dairies Milk Quality Awards, Raymond, James and Graham Harrison, Hillsborough, Co. Down won the Best New Entrant Award for the exceptionally high quality of milk produced on their farm. The awards publicly recognise the achievements of Lakeland Dairies milk suppliers who are committed to efficiency and quality in all aspects of their milk production. The overall winners were selected from over 2,000 dairy farmers supplying milk to Lakeland Dairies. They were presented by Irish Agriculture Minister Michael Creed. Pictured (l – r) are: Michael Hanley, Group CEO, Lakeland Dairies; Raymond and James Harrison; Minister Creed; Graham Harrison, Colin Kelso, Vice-Chairman and Alo Duffy, Chairman of Lakeland Dairies. 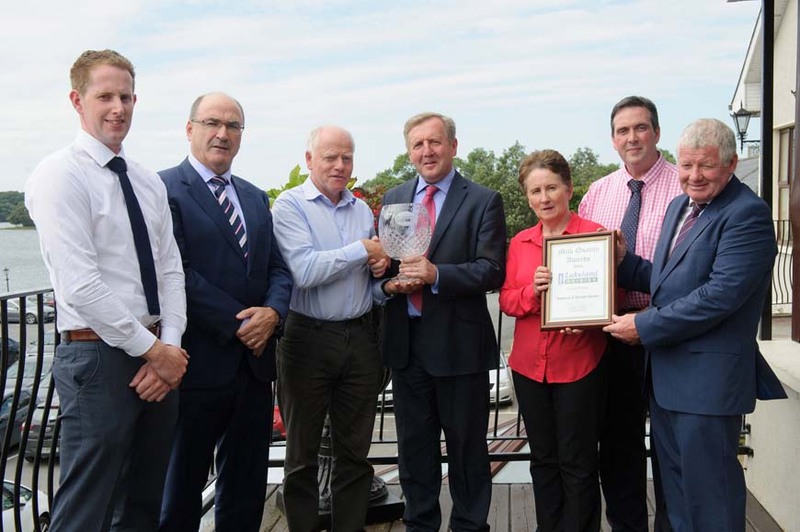 HIGHEST QUALITY MILK PRODUCERS: Francis Goodman, Carrickmacross, Co. Monaghan, won the 500,000+ litres milk production category of the Lakeland Dairies Milk Quality Awards. 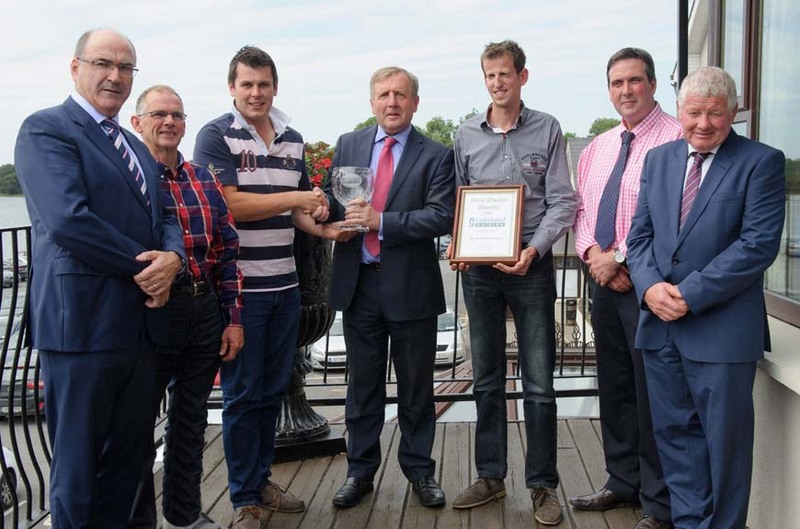 The awards were presented by Agriculture, Food and Marine Minister Michael Creed T.D. Pictured (l – r) are: Michael Hanley, Group CEO, Lakeland Dairies; Francis Goodman, Minister Creed; Alice Goodman and Alo Duffy, Chairman of Lakeland Dairies. 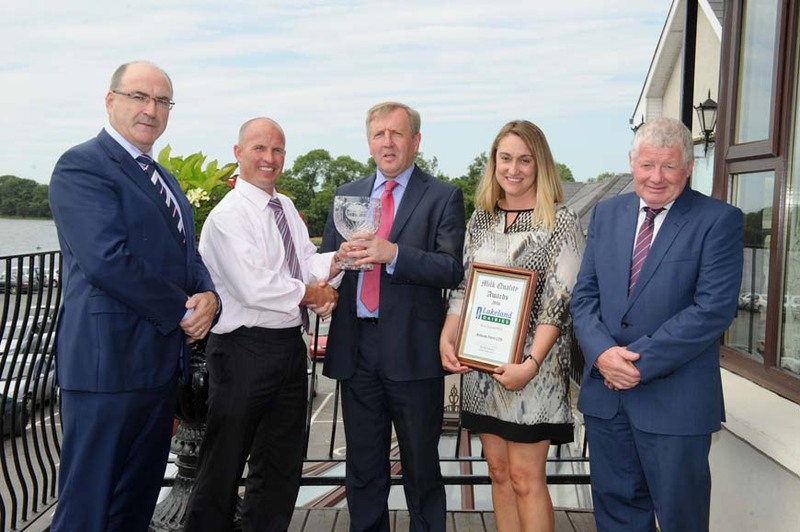 HIGHEST QUALITY MILK PRODUCERS: Nigel Trenier, Belturbet, Co. Cavan, was the overall runner-up in the 500,000+ litres milk production category of the Lakeland Dairies Milk Quality Awards. The awards were presented by Agriculture, Food and Marine Minister Michael Creed T.D. 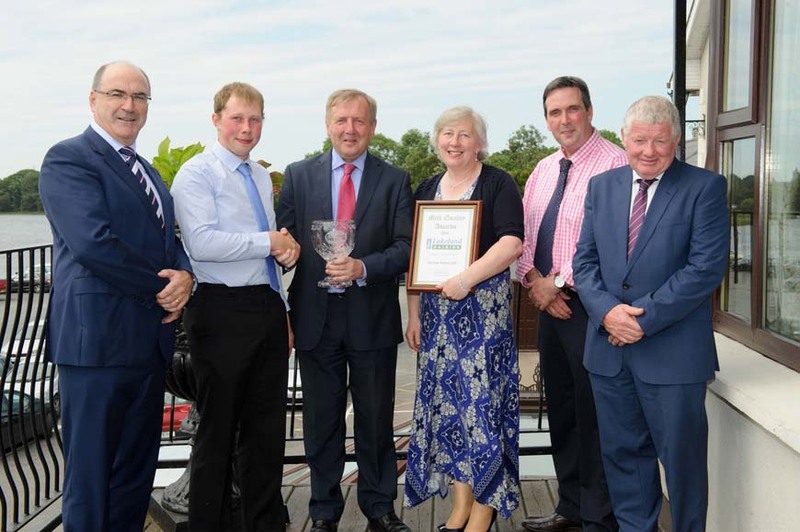 Pictured (l – r) are: Michael Hanley, Group CEO, Lakeland Dairies; Mark Trenier who received the award on behalf of Nigel Trenier; Minister Creed; Beryl Trenier, Colin Kelso, Vice-Chairman and Alo Duffy, Chairman of Lakeland Dairies. 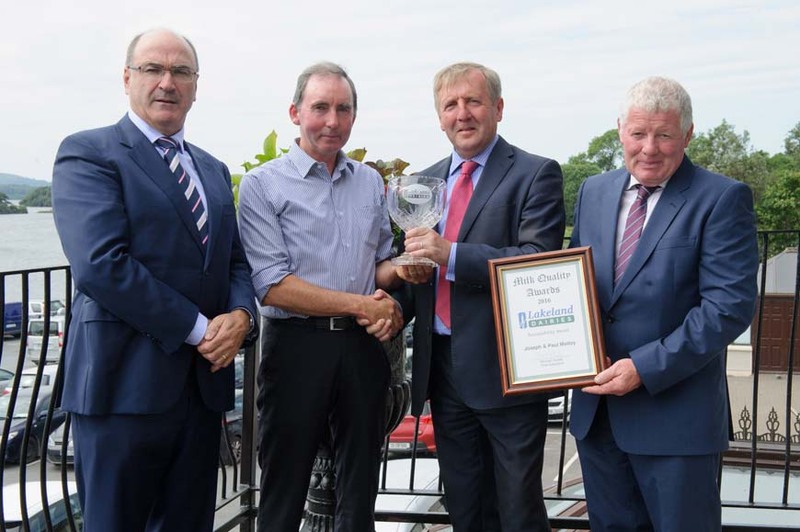 HIGHEST QUALITY MILK PRODUCERS: Terence McGovern, Ballyconnell, Co. Cavan, won the 0 – 500,000 litres milk production category of the Lakeland Dairies Milk Quality Awards. The awards were presented by Agriculture, Food and Marine Minister Michael Creed T.D. Pictured (l – r) are: Michael Hanley, Group CEO, Lakeland Dairies; Terence McGovern; Minister Creed; Colette McGovern and Alo Duffy, Chairman of Lakeland Dairies. 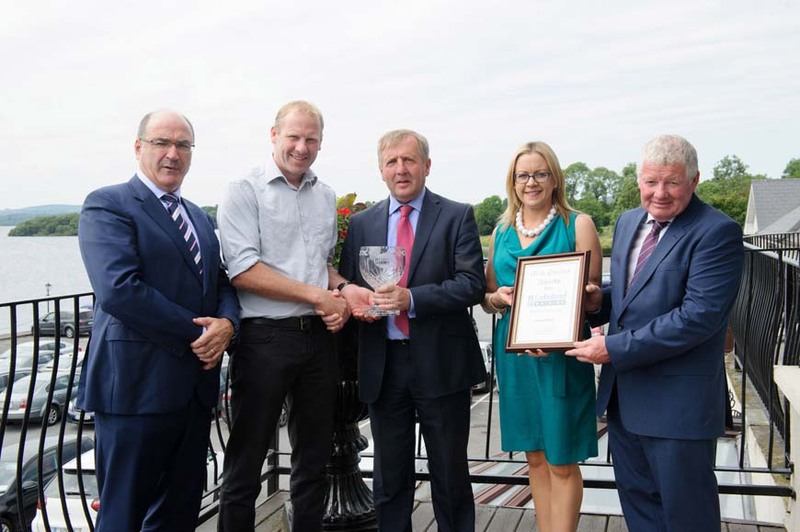 HIGHEST QUALITY MILK PRODUCERS: Adrian Kelly, Cloghan, Co. Offaly, was the overall runner-up in the 0 – 500,000 litres milk production category of the Lakeland Dairies Milk Quality Awards. The awards were presented by Agriculture, Food and Marine Minister Michael Creed T.D. Pictured (l – r) are: Michael Hanley, Group CEO, Lakeland Dairies; Adrian Kelly; Minister Creed; Linda Kelly and Alo Duffy, Chairman of Lakeland Dairies. 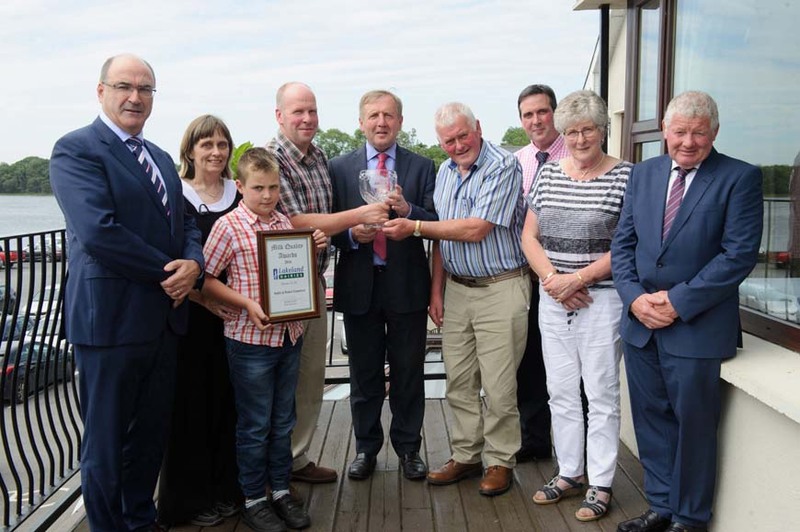 ​​HIGHEST QUALITY MILK PRODUCERS: G.D. Young from Mullingar, Co. Westmeath, won the Best New Entrant category of the Lakeland Dairies Milk Quality Awads for the exceptionally high quality of milk produced on his farm. The awards were presented by Agriculture, Food and Marine Minister Michael Creed T.D. Pictured (l – r) are: Michael Hanley, Group CEO, Lakeland Dairies; G.D. Young; Minister Creed; Caroline Young and Alo Duffy, Chairman of Lakeland Dairies. HIGHEST QUALITY MILK PRODUCERS: Joseph & Paul Molloy, Leamore, Tullamore, Co. Offaly, won the inaugural Lakeland Dairies Sustainability Award for outstanding commitment to sustainable milk production, based on measures including carbon footprint, biodiversity, water management and milk quality results, at the Lakeland Dairies Milk Quality Awards. The awards were presented by Agriculture, Food and Marine Minister Michael Creed T.D. Pictured (l – r) are: Michael Hanley, Group CEO, Lakeland Dairies; Joseph Molloy; Minister Creed and Alo Duffy, Chairman of Lakeland Dairies.